Naim Eliahou Dangoor (1914-2015) was born in Baghdad to a wealthy and religious family, at a time when a full third of the city’s population was Jewish. His grandfather was the Chief Rabbi of Baghdad, while his father operated the largest Arabic printing press in the world. At 17, Dangoor journeyed to England to study engineering at the University of London. 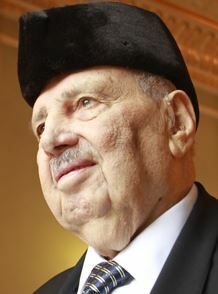 Upon his return to Iraq, he hoped to work as a railway engineer but was barred from the position because he was Jewish. Instead, Dangoor was conscripted into the army. There, he met Ahmed Safwat, and the two decided to start a business together. The first major contract secured by their company (Eastern Industries Ltd.) was to replace the windows of Iraq’s government buildings. They soon diverged into property development and manufacturing. They made matches, furniture, and opened Iraq’s very first Coca-Cola bottling plant. Meanwhile, Naim married his cousin, Renée Dangoor(1925-2008). She was born in Shanghai, where her family temporarily lived for business. The family moved back to Baghdad when she was still a child. 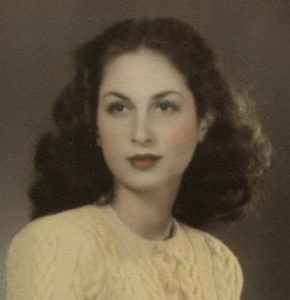 In 1947, she participated in the country’s first beauty pageant, and was crowned the first ever “Miss Iraq”. 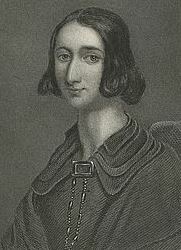 She married Naim the following year. Unfortunately, things got really bad for Iraq’s Jews after the founding of the State of Israel. By 1959, the Dangoors had no choice but to flee. Naim continued to operate his businesses for a few more years until the government stripped him of his citizenship and took over his company. The family settled in England and started from scratch, opening a new property development business, and establishing a community centre for Iraqi Jewish immigrants. To preserve their culture, Naim founded The Scribe – Journal of Babylonian Jewry, which would go on to publish magazine issues for 35 years, distributed in 25 countries. By 1980, Dangoor had rebuilt his wealth. He wanted to give back to his new home, and established the Exilarch Foundation to provide charitable funds to organizations across the UK. Among other things, the Foundation has provided full scholarships to over 5000 needy students. The Dangoors made the largest ever private donation to both the Royal Society of Medicine and the Francis Crick Institute (Europe’s largest biomedical research facility). After Renée succumbed to cancer, Naim became one of the biggest contributors to Cancer Research UK. He also donated a massive sum to the University of Nanjing in China, in honour of his wife who was born nearby. Among the many other beneficiaries of the Dangoors is Bar-Ilan University, which now runs the Dangoor Centre for Personalised Medicine. Shortly before his passing, at age 100, Dangoor was knighted by the Queen, making him the second-oldest person ever to receive the honour. The idea is that you’re supposed to be a light to the nations. If you only have your light on at home, nobody else sees it. Clockwise from left: Hakham Ezra Reuben Dangoor, Chief Rabbi of Baghdad from 1923-1926; Naim and Renée at a Baghdad party; an Arabic newspaper announces “Miss Iraq” in 1947; the first Coca-Cola ad in Iraq, circa 1950; Naim with his business partner Ahmed Safwat. This entry was posted in Business & Finance, Extraordinary Individuals and tagged Babylonian Jewry, Baghdad, Bar-Ilan University, Beauty Pageant, Charity, China, Coca-Cola, English Jews, Exilarch Foundation, Iraqi Jews, Jewish Knight, Miss Iraq, Mizrahi Jews, Philanthropists, Sephardic Jews, Shanghai, University of London, University of Nanjing on December 19, 2018 by Jew of the Week.